Long before social media changed the way we follow and consume sport, there was another form of online communication that altered the way football fans follow their club. And that platform of communication lives on today, and is arguably healthier than ever. We speak of the football fansite – the unofficial websites and forums that allow supporters to unite over their common passion. Collingwood has been fortunate to boast several of the finest unofficial web communities in the land, some of which have acted, often unknowingly, as pioneers of their kind. It’s only right that our club has the biggest, oldest and most storied fansites in the game. It just makes sense. And now two of them – Nick’s Collingwood Page and Extreme Black ‘n White – take their rightful place on Collingwood’s honour boards in receiving Special Services Awards at the 2015 Annual General Meeting. We take it for granted now, but these websites provide the sense of community that cannot be experienced elsewhere. Except, perhaps, at the MCG or Victoria Park (it’s little wonder that Nick’s Collingwood Page’s live scoreboard chat is known as the virtual outer). Supporters from the streets surrounding Victoria Park in Melbourne can be vigorously debating the merits of team selection with their equivalents on the other side of the world at any hour of the day. 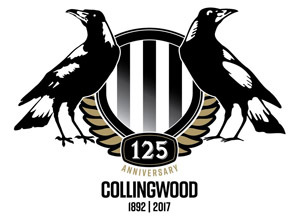 With this in mind, it’s only fitting that the oldest fansite of them all, Nick’s Collingwood Page, was founded by a Tasmanian based family. “Nick’s page started in 1995,” Mike Wilson, co-founder and father of Nick, told collingwoodfc.com.au last October. “It was a single page that he used mainly to keep his footy links. It was just stored on our home computer for his own use. “I had a computer support business at that time and had been developing some small web sites for clients and could see the potential in the web. I needed a working site that I could use as a test bed for ideas and practice. “Nick’s Collingwood Page’ was just that – a single page on the web. That was about October 95 and Nick had just turned 11. During the off-season we developed it into a small site ready for the 96 season. More than twenty years later, it is still going strong, boasting 4,252 registered users who have made 1,586,673 posts between them. Like Nick’s, Extreme Black ‘n White continues to hold a cult-like status among the online throng. Founded by Martin ‘Hotrod’ Boles, the site, with its old-school forum, match reports, cartoons and wicked sense of humour, is one of the go-to pages for any Collingwood diehard. Like Nick’s, Extreme Black ‘n White had its origins during the late 1990s, amid one of the club’s darkest hours. “What was needed was an alternative ‘official unofficial’ website that catered to like minded Magpie nutters like me. A website with attitude I guess,” Hotrod wrote on collingwoodfc.com.au in October 2015. 1) First and foremost it had to be entertaining. The sort of website that I, myself, would want to visit regularly. 2) Secondly, it needed to be informative. Jokes are great but ultimately the main objective was to provide as much info as possible. Know your product. 3) Originality was also key. Copying other people’s work is great when you are in high school or Oasis but not if you’re trying to pioneer something special. 4) Finally, and probably most importantly, it had to be REAL. “Oh yeah! And it was 100% Collingwood biased! Written totally from a one-eyed Collingwood perspective. Collingwood for Collingwood by Collingwood. “On the forum, the level of intelligent discussion, passion and quality of first hand information was so good that the site had begun attracting newspaper journalists and club insiders to it. I guess it was only a matter of time before Eddie started posting. 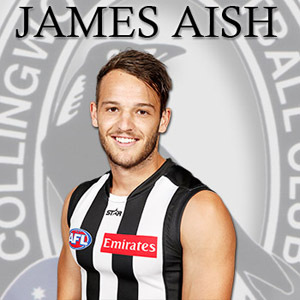 The common theme from the creators of both websites is the desire to serve – both the club and other supporters who are hungry for every last drop of Collingwood information. The two websites are still going strong, despite the rise of social media, while the relentless twenty-four hour news cycle means they are anything but backwaters for rusted on diehards. 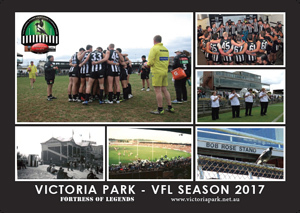 A cluster of sites to have sprung up across the past two decades to give balance to the debate, without the ties of officialdom, and to provide fans of all ages and minds a place to gather and share the Collingwood experience, but none have developed the longevity nor the reverence of Nick’s Collingwood Page and Hotrod’s Extreme Black ‘n White. Mike and Martin, Nick’s and Hotrod’s, we salute you. Adapted from an article that appeared on collingwoodfc.com.au on 24 October 2015.